iOS, by comparison, lost two percentage points in 2016’s second quarter against the comparable quarter last year: falling slightly from 14.6 percent worldwide to 12.9 percent. Apple saw its biggest declines in the Greater China and mature Asia/Pacific regions — adding up to a sizable 26 percent drop in iPhone sales. 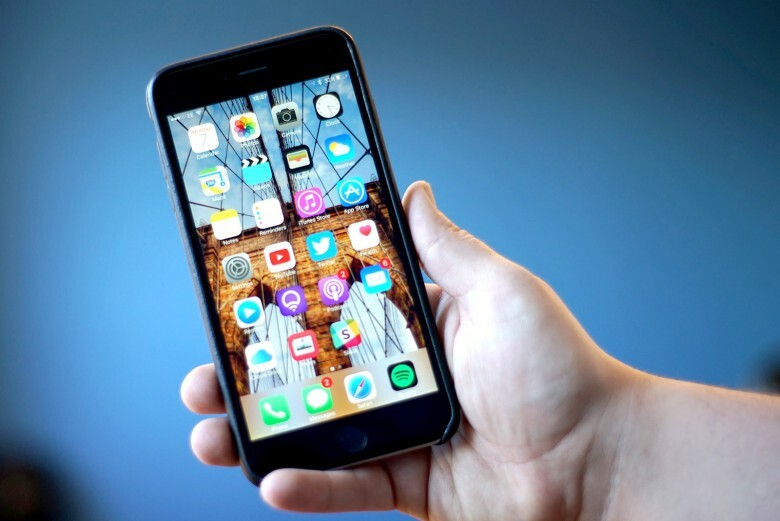 Sales declined slightly in the United States and Western Europe, which are Apple’s strongest markets. On the other end of the spectrum, the company did phenomenally well in Eurasia, Sub-Saharan Africa and Eastern Europe, with sales growing 95 per cent, year on year. 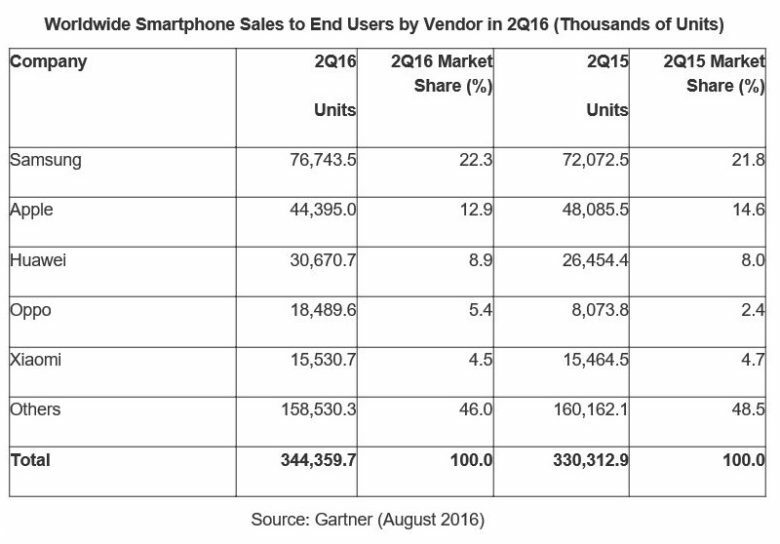 Here’s how smartphones sales are stacking up. The explanation for Android’s continued ascension, meanwhile, comes down to a mix of factors. There are premium devices like the Samsung Galaxy S7, which are having a positive impact at the higher end of the market, in which Apple operates. Further down the smartphone food chain, it’s the same old story about growing smartphone adoption among people buying affordably-priced low end phones from manufacturers like Huawei and Oppo. If Gartner’s figures are correct, Samsung was arguably the quarters M.V.P. It is the overall volume leader in the smartphone industry with almost 10 percent more market share than Apple, with successes at both the high-end and also with its lower-cost Galaxy A and Galaxy J phones, which performed well against low-cost Chinese rivals. Of course, ultimately market share is a flawed metric to look at when it comes to picking the winners and losers. There are plenty of areas (such as building low-cost phones) in which Apple doesn’t try to compete, and lots of low-cost smartphone makers who are selling plenty of units, but barely making any money due to the race to the bottom. To complicate matters even further, Apple also has the rest of its ecosystem to bring in money — while the recent Q3 earnings focused on how its strong services are performing particularly well for Cupertino right now. Are you surprised by these results? Leave your comments below.